Cut into the crust and out comes a bird. We all know the nursery rhyme, “Sing a Song of Six Pence” . . . Whether it was done as a legitimate dish or as a joke at a party to surprise the guests, who knows? But the pot pie stayed with us through the years, enjoyed by the rich and the poor. The pastry and simple vegetables made for more mouths to feed. 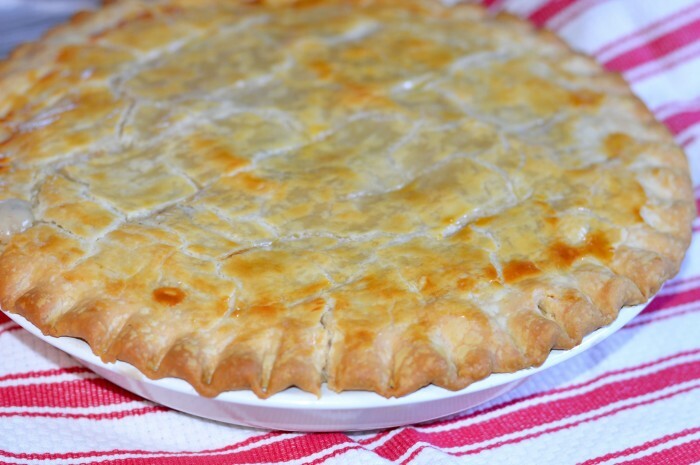 I’ve been making this super-easy pot pie for a couple of decades now. When the girls were all home, we’d go through an entire pan at dinner. Nowadays, Crooksie and I have yummy leftovers, and a slice is as good warmed up as it is right out of the oven. Thyme is the secret ingredient–just a pinch. 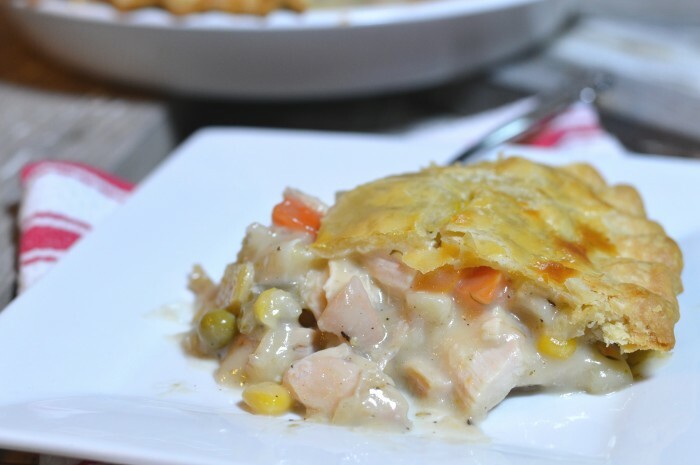 And it sets this pot pie apart from the rest. I used rotisserie chicken for this go-round, but I usually take a couple of chicken tenderloins, boil and chop. You could use leftover turkey, too. 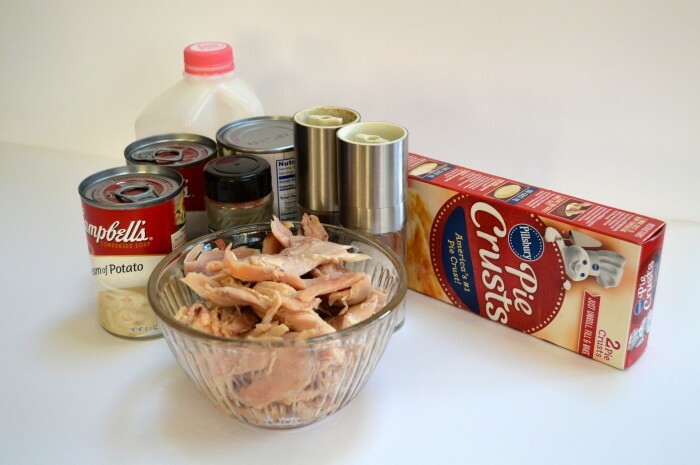 Open the cans, mix the ingredients and pour into the crust. After adding the top crust, be sure to slit to allow steam to escape. If you’d like, brush with a beaten egg wash. It looks time-consuming, but it’s not. Best of all, when you cut that first slice, not a single bird will fly out. I promise! Cover with top crust. Crimp edges to seal. Bake at 375 degrees for 40 minutes. Cool 10 minutes.